A disabled man who won a court ruling over bus wheelchair access which was later overturned has launched a bid to take the case to the Supreme Court. Doug Paulley, from Wetherby, was denied access to a First Group bus when a woman with a pushchair refused to move. Senior judges overturned an earlier ruling which said the firm's wheelchair policy was discriminatory and breached the Equality Act. Mr Paulley has now lodged permission to appeal papers with the Supreme Court. According to the appeal papers the Court of Appeal's decision was "wholly inconsistent with the policy of the Equality Act 2010". Mr Paulley said he was prepared to take the case "as far as it needs to go". "Disabled people chained themselves to buses in the 1990s to make sure accessible buses were put on routes, but there's no point in having them if you can't use them," he said. In 2013 Leeds County Court ruled First Group's "first come first served" policy was unlawful and said disabled users should have priority access to wheelchair spaces. However, last year the Court of Appeal said the "proper remedy" for wheelchair users to get improvements was to ask Parliament. A spokeswoman for solicitors Unity Law, which represents Mr Paulley, said First Bus Group had indicated it objects to the application. She said a panel of Law Lords will have to consider whether to allow the appeal. Mr Paulley's case is being supported and funded by the Equality and Human Rights Commission (EHRC). 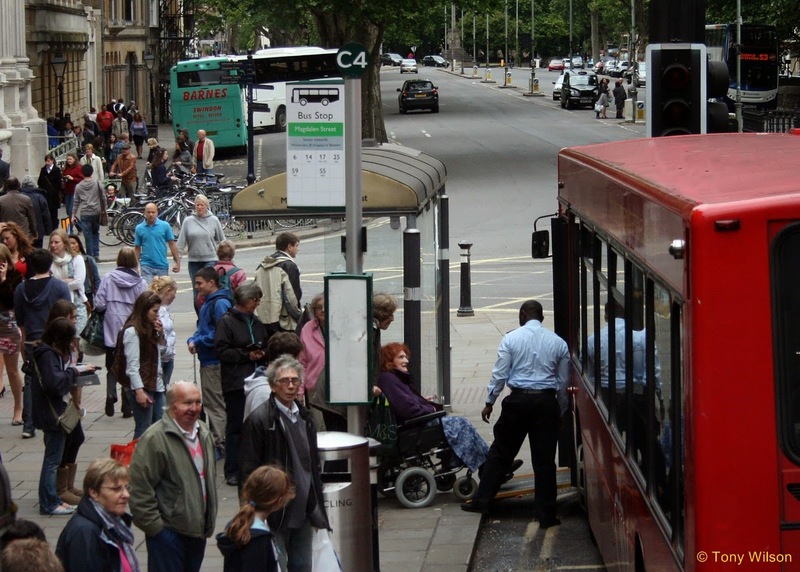 A spokeswoman said: "This case is of enormous importance to the thousands of wheelchair users who may wish to use public transport such as buses without having the anxiety of being told they cannot travel because the space is being occupied by buggies." First Group told the BBC it was preparing a response.